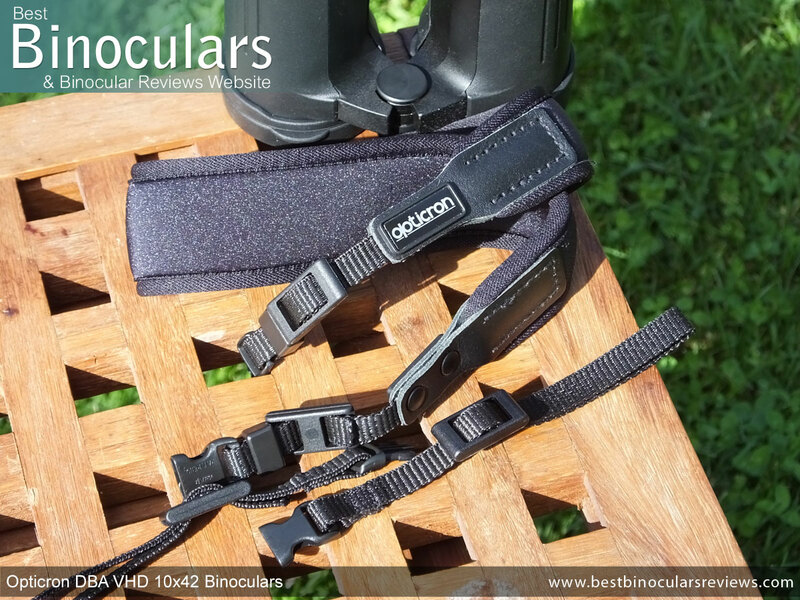 One of the most underappreciated accessories on a binocular and one that often goes overlooked when choosing a pair of optics is the humble shoulder/neck strap. So whilst you will most certainly appreciate the design, quality and comfort of a great neck strap, good ones may well go unnoticed (which in itself is a good thing) and even though it is true that most badly made straps will perform their required task of holding a pair of binoculars around your neck, they most certainly won't add anything to the experience of using and enjoying your optics. To date, every single binocular that I have ever tested or reviewed has come with some sort of a shoulder / neckstrap, but the sad fact is that apart from a few, almost all are suppled with what I describe as being really basic and then there are those that are just simply terrible. 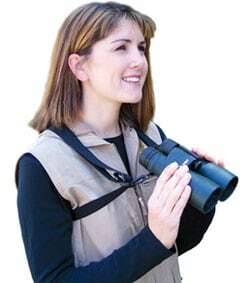 The good news is that you can "pimp your binoculars" by getting a better neck strap and in many cases this does not have to cost the earth. The basic aim of any neck or shoulder strap is to enable you to hang whatever is on the end of it around your neck or over your shoulders, which makes it easier to carry it about, or free up your hands to do other things. So whilst any reasonably strong length of cord can fulfil this basic task, it perhaps lacks in a number of key areas that can take it from the most basic level into something that makes it almost a pleasure to use. 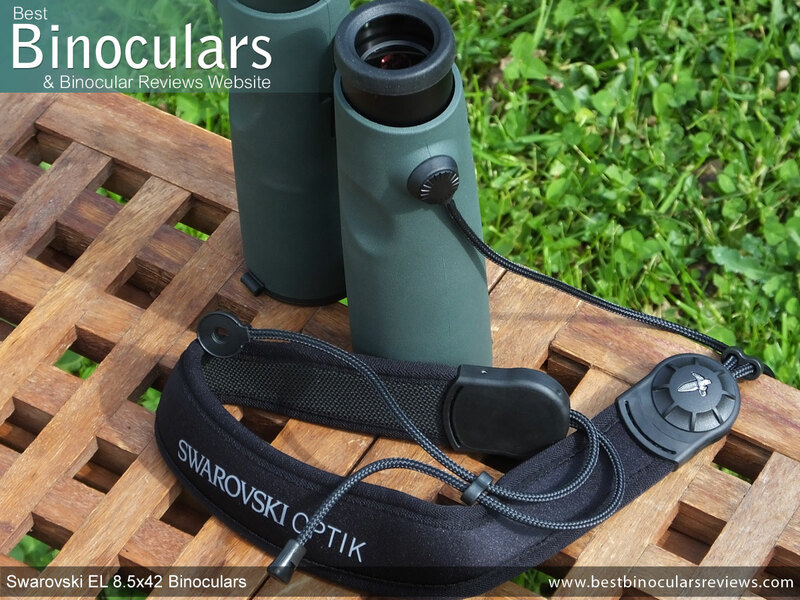 Swarovski Optik and in particular their EL series has always had a great carry strap, but the latest versions known as the Comfort Carrying Strap (CCS) or the Lift Carrying Strap (LCS) has taken what was already a great design even further. Not only are they extremely comfortable, but are very easily adjustable, well made from high quality materials and to my mind look great. Which If I am not mistaken, covers every point on the "what makes a good neck strap" criteria. Somewhat confusingly both straps also come in a normal and pro version, so you get a CCS and a CCSP and then a LCS and a LCSP. The pro version has Swarovski's new propria try field pro bayonet mounting system and as such will only fit onto their latest range. Whilst the standard or non pro versions use a pin and a lug that you thread through loops on the body of the bin and thus will work with their older models and most full sized bins that have fairly wide mounting loops. For more info and photos, take a look at the accessories section of my Swaro EL 8.5x42 review. Opticron produce a number of different straps, lanyards and harnesses, which vary in design, price and quality, but by far my favourite ones are their higher end Nneoprene versions with quick release clips. 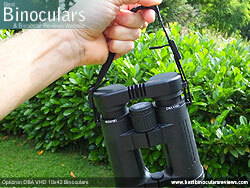 These come supplied with their higher end binoculars like the DBA VHD or Verano BGA HD that I have reviewed, but the great news for those who don't own these bins is that they can also be purchased seperately and whilst they may not quite match all the features of the Swarovski's above, they are a lot let costly. Made in Germany, they feature a very comfortable neorene shoulder section that is available in two widths (30mm / 40mm), but the real pièce de résistance for me is the quick release clips that allow you to swiftly remove the main padded part of strap from the binos. 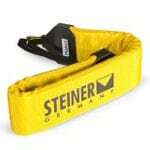 The short sections can then be joined together and 'Ta-dah' you now have a short hand strap! Brilliant. Sometimes called binocular suspenders, a bino harness can be a very comfortable and convenient way to carry your binoculars for hours. 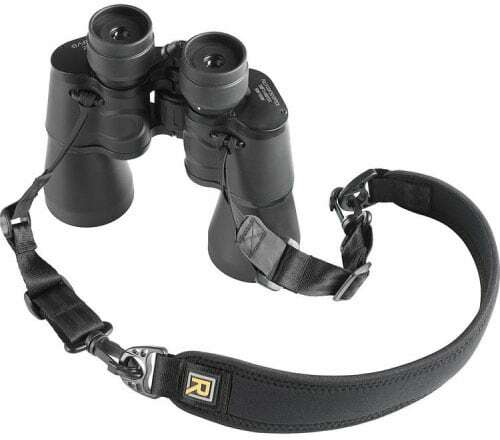 A good harness strap spreads the weight of your binoculars across your shoulders for more relaxed viewing and can keep your binoculars from jostling around as you walk freeing up the use of your hands. 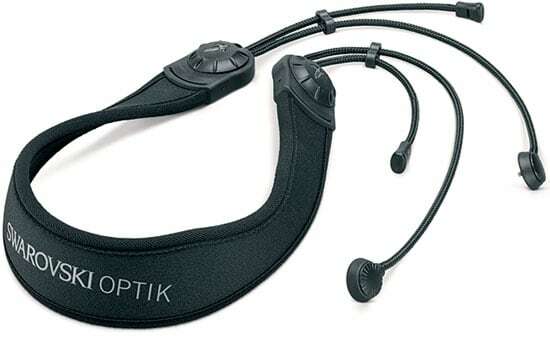 Many brands now offer their own version of a binocular harness, some are great, some not so great. 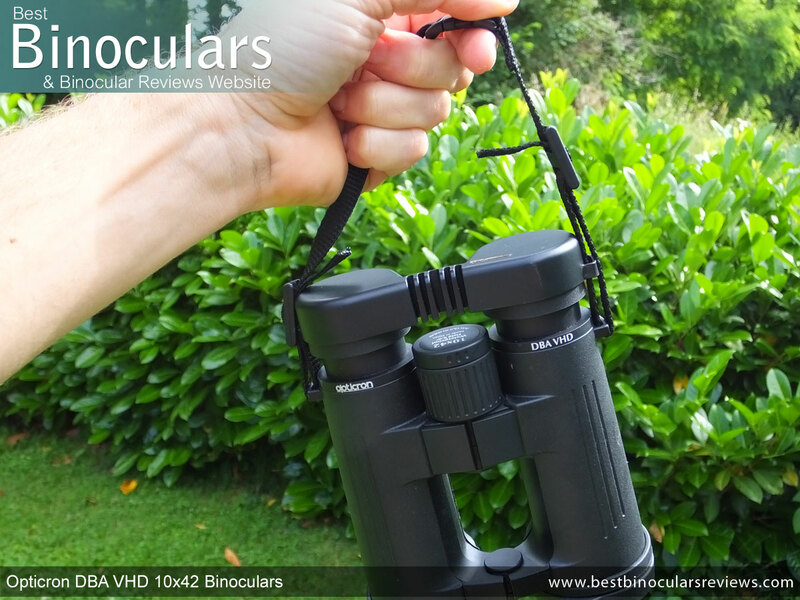 I this guide, I will take a look at some of the most popular and review to fin out which are the best: >> Binoculars Harness Guide. The best specialised marine binoculars come with a floating strap that will prevent your binoculars from sinking, should you drop them overboard. But what if you have lost yours or if you already have a pair of binoculars suitable for marine use, but don't have a strap. the good news is that you can buy these as an accessory. 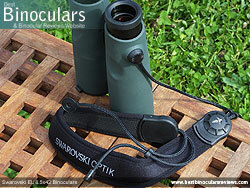 Take a look at my guide to the >> Best Binocular Floating Straps. As the name implies that this neck / shoulder strap from Vortex is primarily designed with archers in mind who as you can see from the demonstration photo below often require a longer neck strap ensuring that the binocular remains well out of the way as they draw the bow. 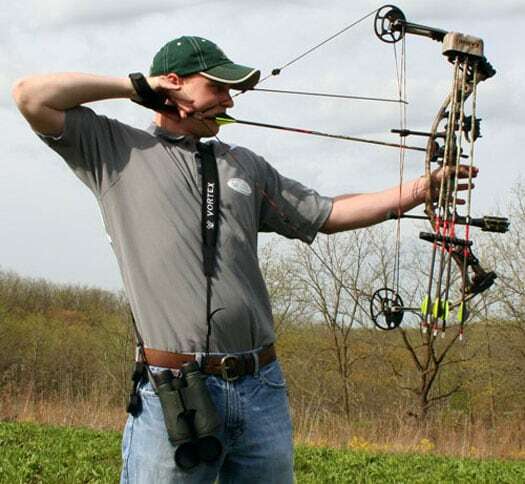 However I know of many people who simply prefer to carry their binocular in this fashion and if this is you, or if you just like to have a longer strap, then the Vortex Archer's Strap is for you. 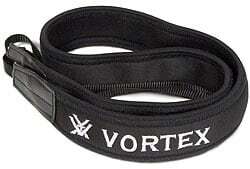 Essentially just a longer (58 inches long), straight version of their standard "Comfort Strap", the Vortex Archer's Padded Strap (2 inches wide) like most others, made of neoprene and is well padded. One difference to their normal length comfort strap is that this longer version does not have a curved padded section that is designed to fit around your neck more comfortably. This is basically because this strap is designed to be worn over the shoulder, instead of around your your shoulders and neck in the normal way. 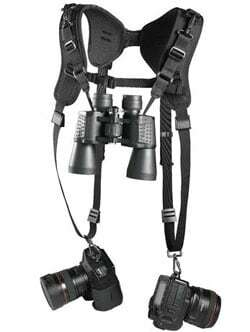 If you want or need to travel really light, then the Ultra-Light Binocular Harness could be idal for you. Whilst they may lack in the comfort department, they take up almost no space, weigh just 1 ounce and are very versitile (see image below for the different ways in which you can carry your bins with them). Firstly you can buy the BlackRapid binocular strap as a stand alone product and it works as a standard neck strap, rather than always having to wear a harness as you do with most other similar systems. By itself and as a neck/shoulder strap, it looks to be very comfortatble and with the quick release clips you can quickly turn the neck strap into a hand strap, or fix it to many ruck or day sacks that have D-ring loops on the shoulder straps. 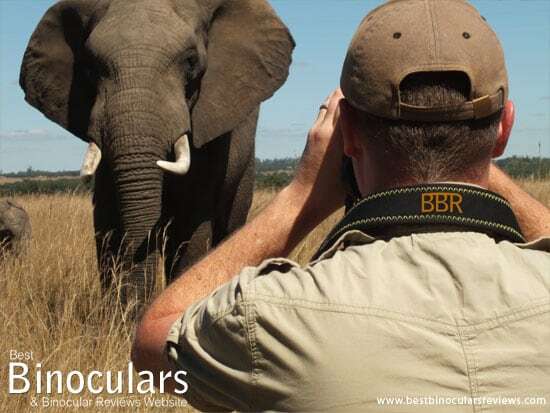 Then with the purchase of their BlackRapid Double Strap system, it can be used to carry one or even two full sized DSLR cameras as well as your binoculars. OP/TECH USA, is as the name suggest an American company and is located in Montana, less than ninety miles from Yellowstone National Park. They are proud of the fact that they are family owned and run and almost all of their product still manufactured in their Montana factory. As well as binocular and camera harnesses they produce a wide range of other straps, slings, pouches and covers for cameras, binoculars and other outdoor equipment. One of their best and most innovative pieces of equipment are the OpTech Dual Harness that allows you to comfortably and securely carry two cameras or binoculars. The design of the U-shaped neoprene neck pad evenly distributes the weight of your gear while absorbing the shock of your movements. Because the dual harness strap uses the 3/8" connectors, your gear remains safely in the upright position at your sides. 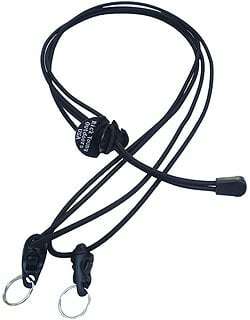 This keeps the camera or binoculars stabilized and secured within your view and grasp. By also maintaining the camera in the upright position, no stress is put on your camera, lens or shoe-mount flash units. Your cameras can be quickly and easily brought to the proper shooting position with the self-gliding connectors.